CURRENT DENIZY USERS PLEASE UPDATE YOUR DENIZY THEME! 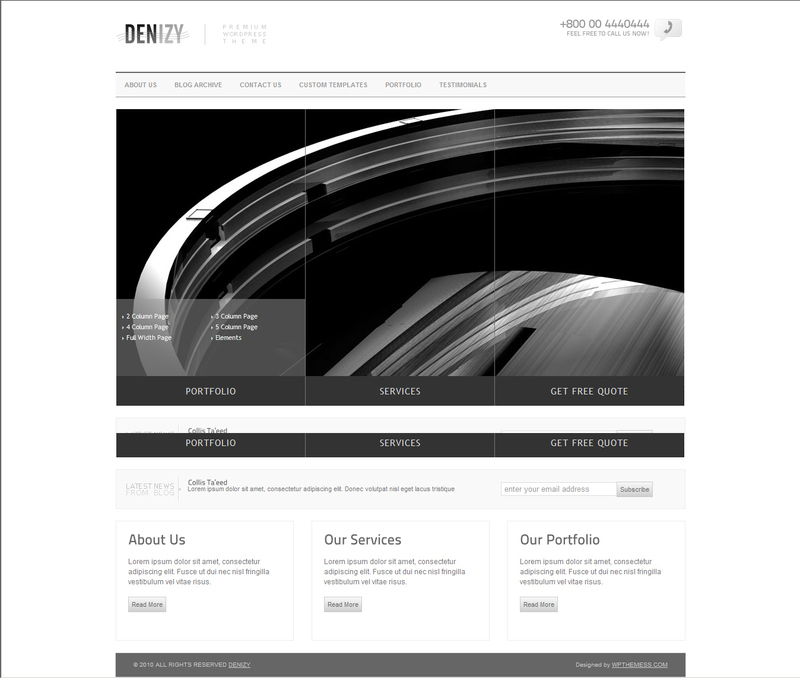 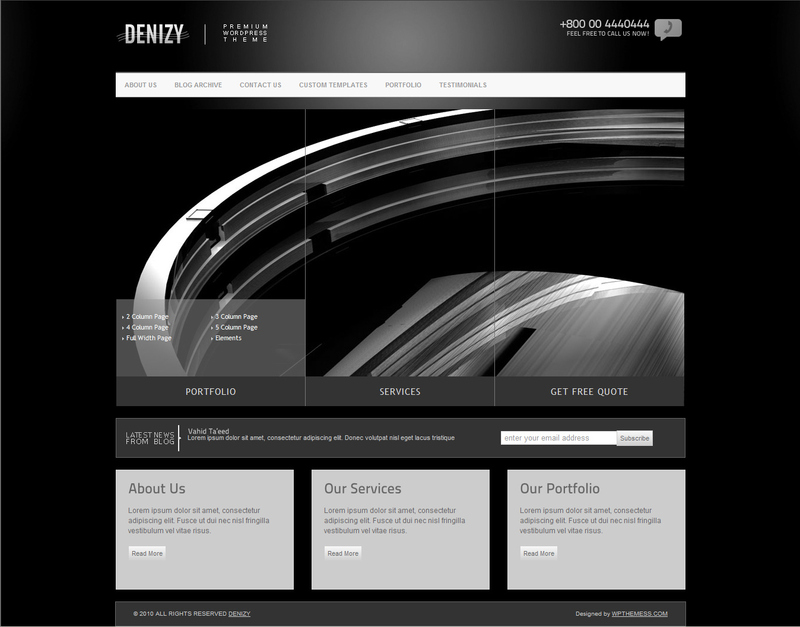 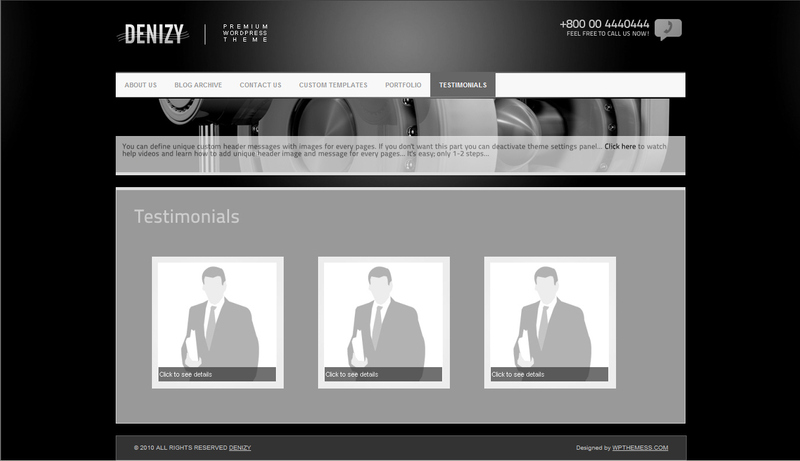 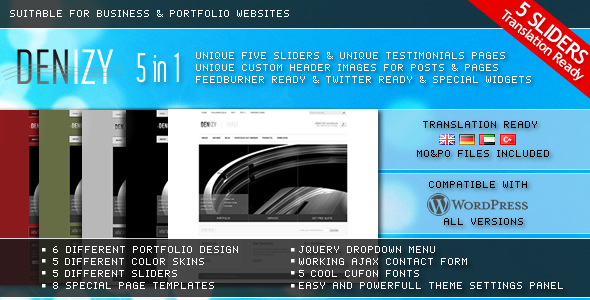 DENIZY 5 in 1 Business & Portfolio Clean Minimal Translation Ready Wordpress Theme which suitable for business and portfolio websites. 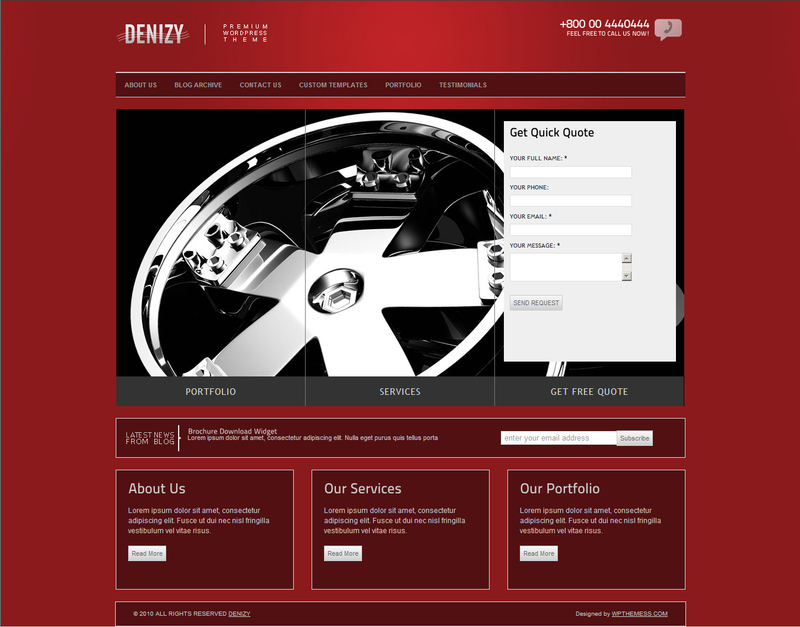 DENIZY have 5 different skins, 5 different sliders, 5 special cufon fonts, 6 different designed portfolio page templates, 8 different designed special page templates, Also you can use custom unique header images and unique header contents for every pages and posts, Wordpress posts thumbnail (featured image) supported, Wp 3.0 menu supported, Colorbox [lightbox alternative] powered and easy but powerfull theme settings panel. 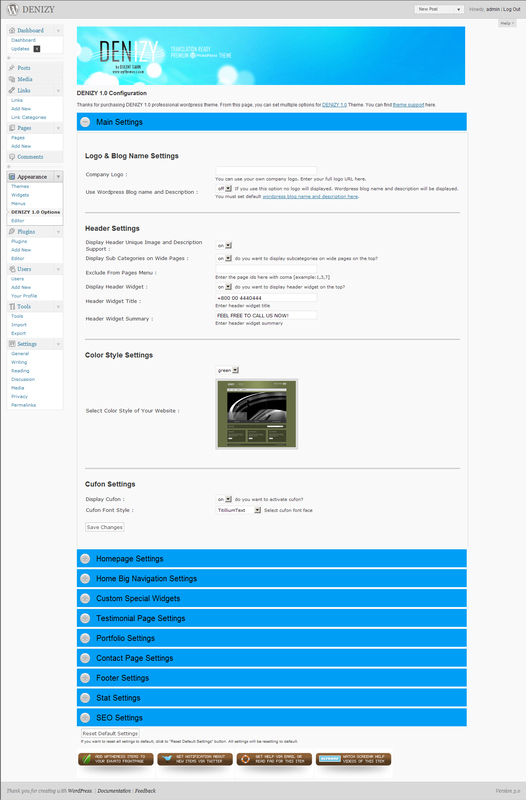 You can turn on/off which want to use from theme settings panel. 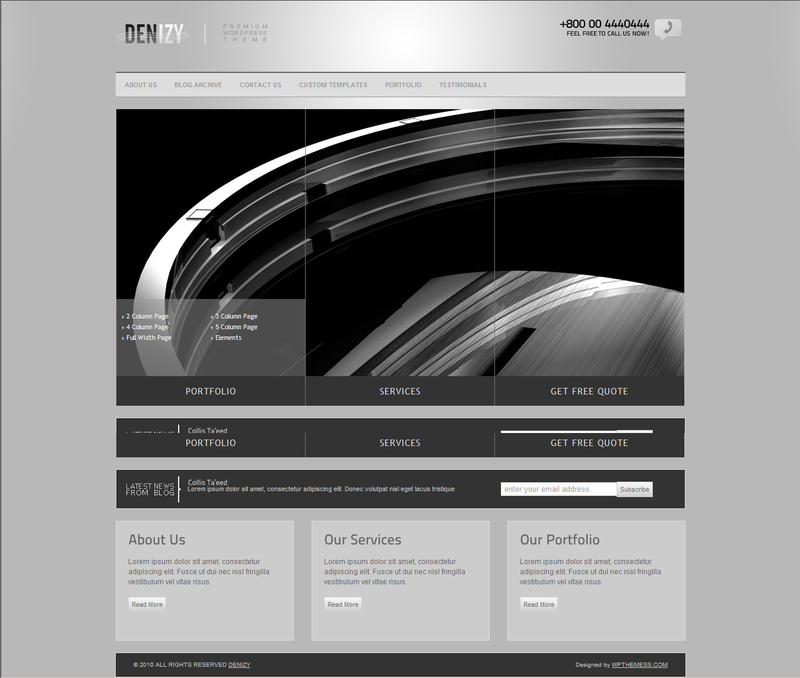 gallery and others for large publish capacity. 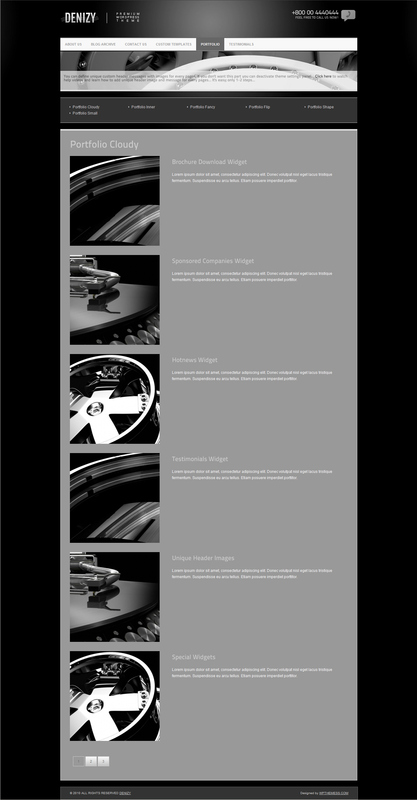 E. Different random unique header images for everypages!